is composed of three levels, where seven customer's orders are placed. Levels are arranged from top to bottom. Placement of customer's orders is carried out from left to right considering recommendations. All incoming customer's orders are placed on the first level. All other levels are already occupied with orders. As soon as the first level of Preliminary V.I.P. table is completed, Preliminary V.I.P. 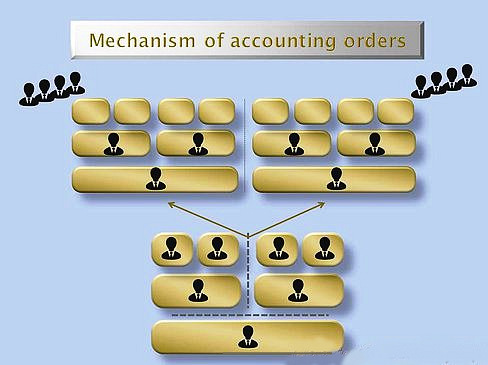 table of orders is divided into two symmetrical tables of orders. Customer's order moves to the second level. Four free cells are formed on the first level of two new tables of orders for new customer's orders. And as soon as the first level of Preliminary V.I.P. table is completed by another new four orders, Customer moves to the third level. By next table division Credit bonuses are charged on order in the amount of €2800 credit bonuses which are used to transfer Customer's order to the first cycle of V.I.P. 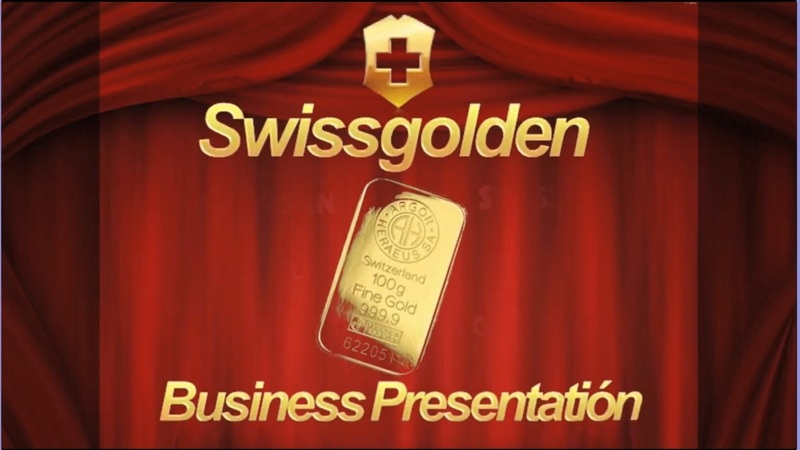 table of orders, under condition that qualification is made bonus reward I the amount of €1200 Euros is awarded, €120 credit bonuses (10%) are deducted as order processing fee. 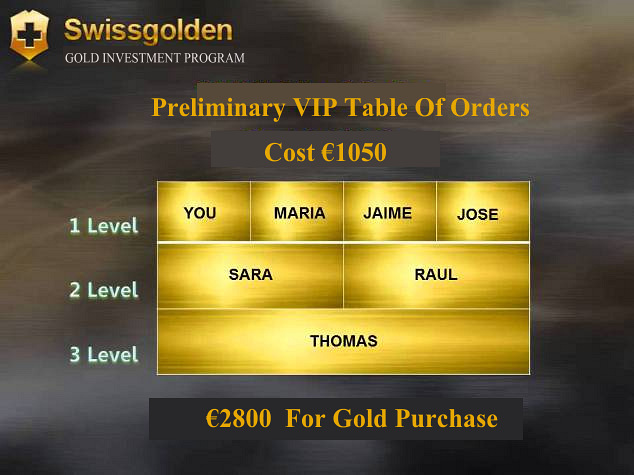 For the rest €1080 credit bonuses investment gold bars are bought. Upon completion of order Customer automatically gets to the first level of V.I.P. table of orders. These involved orders will be considered at any level of table. Customer, owner of the order shall involve minimum two new orders to seven celled Preliminary table of orders. Customer's order should pass one cycle of Preliminary V.I.P. table of orders. If Owner of the order passed all three levels of Preliminary V.I.P. table of orders, but didn't attract minimum two new orders or attracted only one order, his order would be withdrawn from the marketing program and Company would refund him the amount, spent for the registration which is €1000 Euros to his internal Euro account. One point will be deducted from the qualification on Preliminary V.I.P. table of orders of his superior sponsor.